Evolving from an advertisement concept created for Coillte, Creative Triangle have recently developed a direct marketing campaign directed towards 500 UK demolition contractors and hoarding specialists. Specifically selling SmartPly SiteProtect product, the concept behind the mailing was to promote SiteProtect’s core competence of being ready prepared site hoarding to take away. Housed in a traditional take away box, the recipient received a wallet promoting the save time, save money idea together with a product sample and a leaflet promoting the benefits of being able to reduce labour costs as the site hoarding is ready to paint. We are eagerly awaiting the sales results for the campaign but initial feedback from recipients has been favourable both to the product and also to the innovative mailing they received. 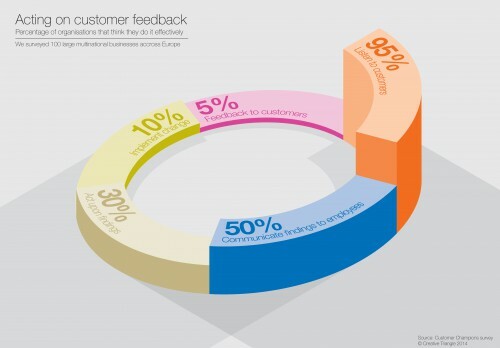 Can infographics increase the value of customer feedback?